Nurse-led clinics have been set up in primary care centres/GP practices at 6 locations across Greater Manchester, Lancashire and Cheshire. Patients who have received treatment for prostate cancer at The Christie Hospital are transferred out to the community-based service at the appropriate time point for their continued follow-up. For radiotherapy patients this happens immediately following completion of treatment and their entire post treatment follow-up and discharge happens in the community. Patients are stratified according to risk and discharged to self-manage with GP support at the appropriate time point. Prostate cancer is the most common cancer in men in the UK. It is estimated that by 2030, it will be the most common cancer of all. Encouragingly, 84% of prostate cancer patients survive 10 years or more, but many men experience long term physical and psychological consequences of treatment, such as bladder and bowel problems, deteriorating sexual function, psychological co-morbidity and hormonal side effects. This may make it more difficult for men to get their lives back on track after they have completed cancer therapy, which makes it so important that the care for these patients provides ongoing support well beyond the initial treatment phase. 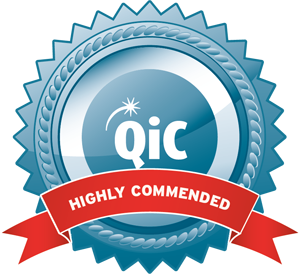 Traditionally, prostate cancer after-care is delivered by oncologists, urologists or specialist nurses in hospital-based clinics using a very medical model of assessing for recurrence with the use of associated monitoring tests. Hospital-based care is often costly to the patient and studies show there is a failure to address the ongoing needs relating to prostate cancer and its treatment. These factors led us to consider alternatives to the traditional hospital outpatient appointment. 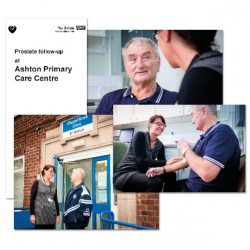 The main aim was to set up and pilot a new model of follow-up for prostate cancer patients which would meet our patients’ expectations and wishes while maintaining safety and quality. A further aim was to reduce the number of routine long-term follow-up appointments in the secondary care setting, which in turn would create more appropriate appointments for patients who need hospital supervision. It was also anticipated that there would be a mixture of cash savings and improved productivity.